Reconstructing the paleobiology of fossil non-human primates, this book is intended as an exposition of non-human primate evolution that includes information about evolutionary theory and processes, paleobiology, paleoenvironment, how fossils are formed, how fossils illustrate evolutionary processes, the reconstruction of life from fossils, the formation of the primate fossil record, functional anatomy, and the genetic bases of anatomy. Throughout, the emphasis of the book is on the biology of fossil primates, not their taxonomic classification or systematics, or formal species descriptions. 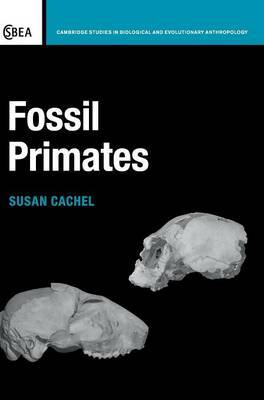 The author draws detailed pictures of the paleoenvironment of fossil primates, including contemporary animals and plants, and ancient primate communities, emphasizing our ability to reconstruct lifeways from fragmentary bones and teeth, using functional anatomy, stable isotopes from enamel and collagen, and high resolution CT-scans of the cranium. Fossil Primates will be essential reading for advanced undergraduates and graduate students in evolutionary anthropology, primatology and vertebrate paleobiology.